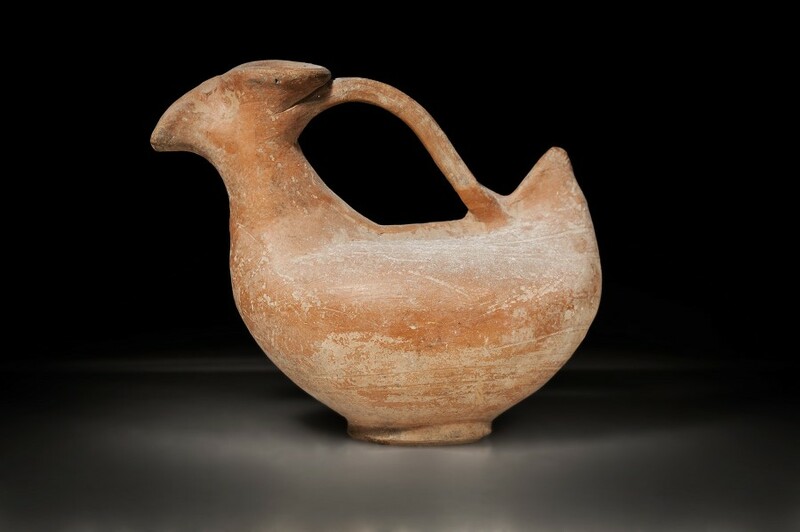 CivilizationIron Age II, 800 B.C.E. - 600 B.C.E. 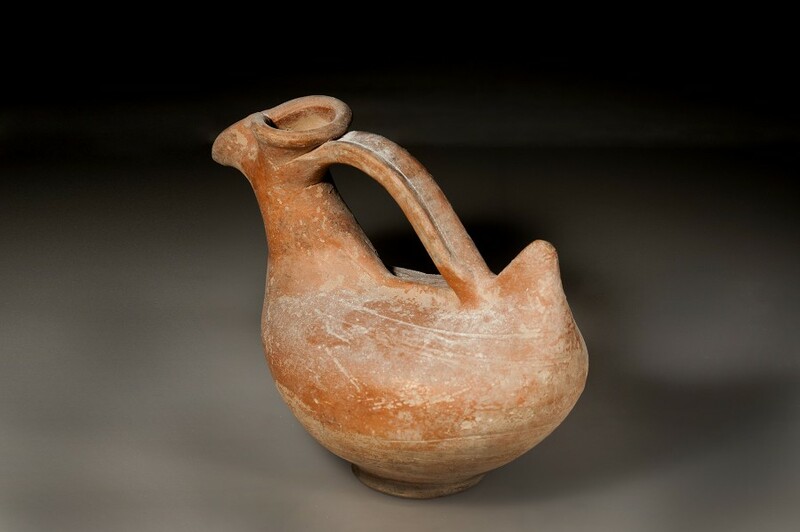 Askoi were smallish vessels that were often anthropomorphized, here taking the shape of a bird. 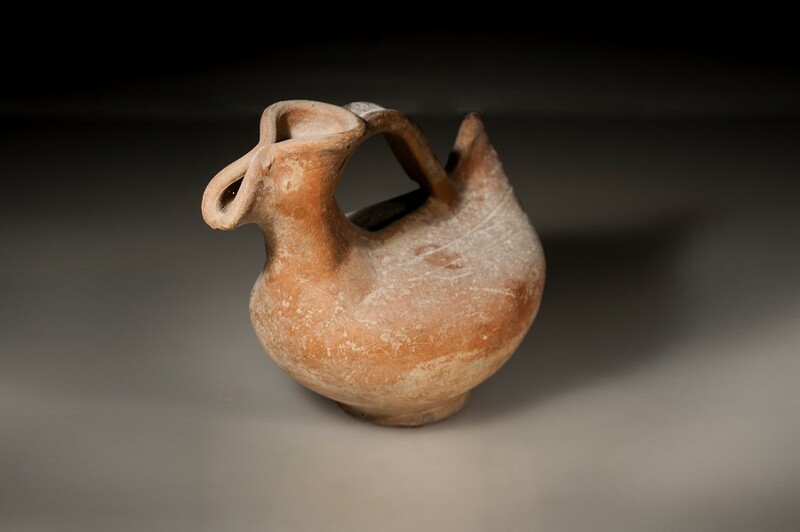 They were used to refill larger oil lamps with fuel, which explains the unique look of this piece with a handle that spans the depression of its body. 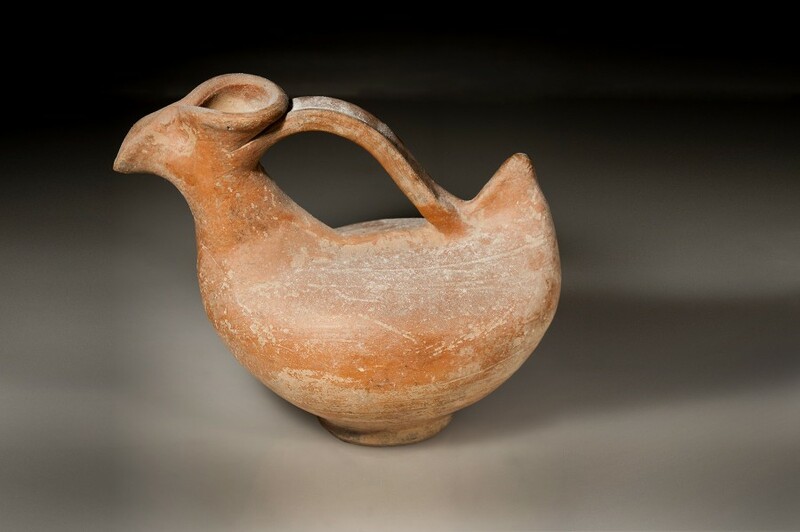 Some askoi contained spouts on either end for utility, yet this piece has only one in a seeming nod to its bird-like form.